The wait is over. 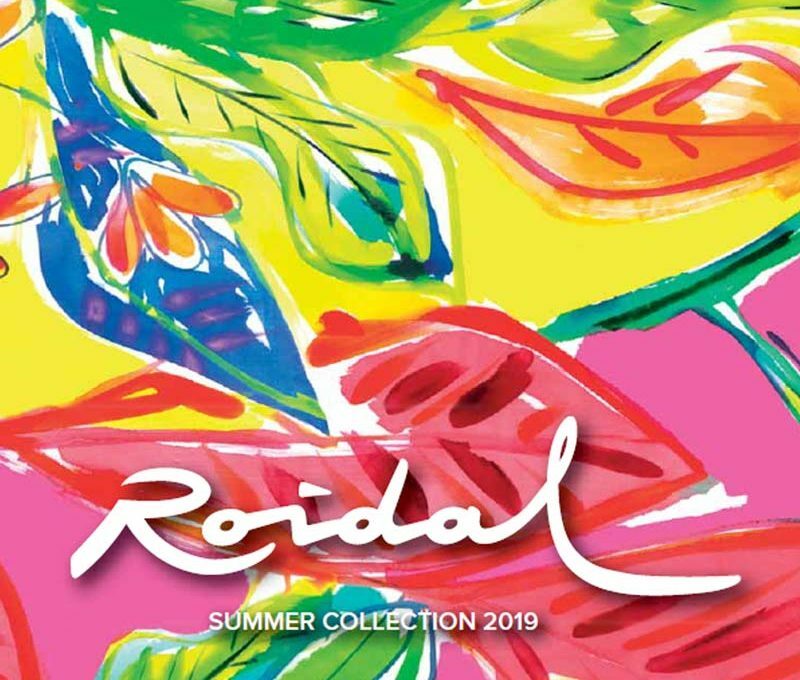 Roidal Swimwear 2019 collection is here and, yes, you guessed it, you’re going to love every print, every cute bikini and swimsuit… they are too pretty not to fall in love with them. Let us tell you how it felt like love at first sight for us. When we visited Roidal’s headquarters in Spain for a tour around their workshop a few months ago, we had access to the collection. As you know, UK Swimwear was one of the first Roidal stockists in the UK. Before Roidal was introduced to the UK, many women wondered around, looking where to buy Roidal swimwear and beachwear. The story of this Spanish high-end brand is similar to ours. We both are family-owned companies, we sell our styles all around the world and, most important, we put all our energy into what we love the most: stunning designer swimwear and beachwear. Our visit to Roidal included a tour around their workshop, where we could see in person the precise and hard work behind each of their designs. It was amazing to see all the process, from the design of the print, to the final stitches. As you can imagine, we were thrilled to chat with the women and men who create such stunning designs with their own hands. And then, it’s the prints. Look at them. Aren’t them amazing? Blue Flower is the most eye-catching print in the whole Roidal 2019 swimwear and beachwear collection. The style in the picture is the Blue Flower Bluma Swimsuit, which is a new swimsuit type for us. We love the double contrast: between the white, the turquoise and the cobalt blue; and, at the same time, the contrast between the floral print and the darker background. And talking about prints, let us share with you a secret Roidal shared with us when visit them in Spain. Roidal adapts the size of each print to every style, to make sure it looks its best. This way, the size of each petal in a Roidal Blue Flower bikini will be smaller than the same exact detail in the print in the matching kaftan. Interesting, right? What is more, Roidal adapts the print to each size and, even, cup size, so that the placement print always looks the same. When you have your Roidal swimsuit in your hands, why don’t you take some time to appreciate all the work behind it? Amapola is another amazing floral print in Roidal 2019 swimwear collection. It’s a classic floral style, ideal for those who want a timeless style they can wear season after season. It looks elegant and sophisticated when worn with the right beachwear. You can choose to pair Roidal Amapola swimsuits and bikinis with beachwear in a matching print, which is available and ready to buy at UK Swimwear, or plain beachwear in one of the colours in the Amapola print: White, navy, orange, green, turquoise, fuchsia, etc. Coral is one of those prints you have to see in real. The photographs don’t do justice here. This print looks even better when you look at them in person. You’ll have to trust us when we say that this is the most elegant print in the Roidal 2019 collection. This sleeveless sun dress is one or your favourite Roidal beachwear styles. Take a look at the whole collection to see more amazing styles with this rich coral and star nautical pattern. Animal prints: leopard, snakeskin and zebra prints are always on trend, but these days they are especially hot. Monochrome: Although not technically a print, monochrome swimwear has been hot for a few seasons already and it’s come to stay. We love the look of the bandeau swimsuit above, which is one of Roidal’s signature looks. It adapts to all cup sizes and removable straps, so it feels comfortable and it’s ideal to sunbath, too. If you lose it for a colourful print, you’re going to love this range. It screams summer and it’s ideal for both light and dark skin tones, precisely because of the orange and red tones. A sophisticated print we swear by! In addition to all the new prints, we have re-stocked some of our essential best-selling styles. You may not know this, but Roidal is one of our top brands in the UK and the US and Brasil, which is the name of Roidal’s Ombre effect swimwear and beachwear range, is always in the list on the top seller styles. We have stocked up on Roidal Brasil bikinis and swimsuits and, of course, its matching beachwear is ready to buy as well. So, what do you think of Roidal Swimwear 2019 collection? See more styles in our Roidal online store!